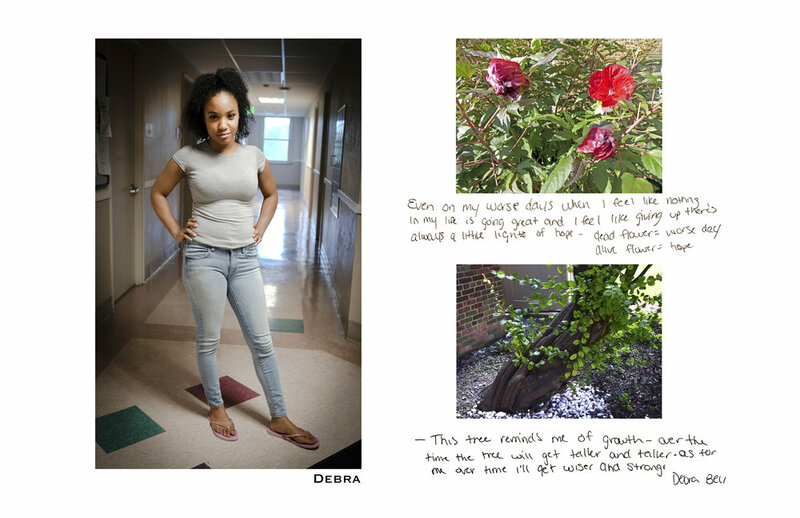 The young women in these photographs are all residents at Vista Maria, in Michigan, a facility that provides support, treatment and education for women and girls who were homeless, or caught in abusive, destructive and dangerous situations. Vista Maria’s mission is to help all of their residents heal, believe in their worth and build the skills needed to succeed. 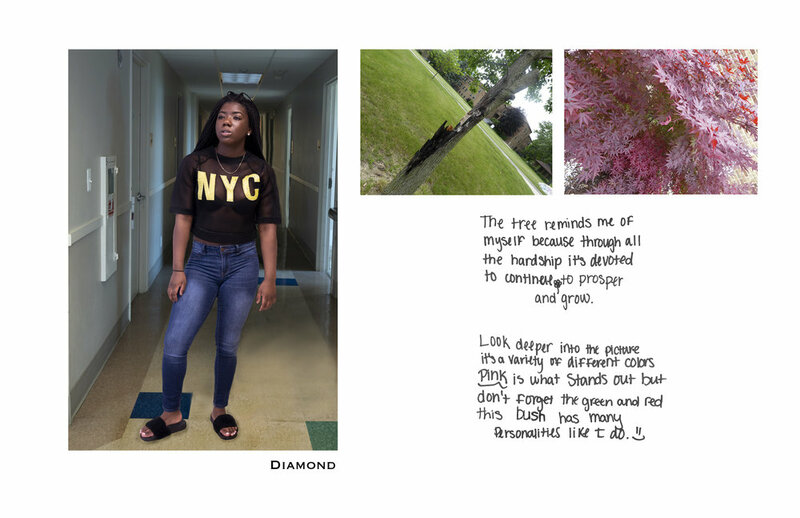 I began teaching them in May, 2018, using therapeutic photography, teaching the girls how to communicate their feelings through photography, by using images to help process and articulate their feelings and emotions, which are often hard to put into words. Combined with writing about the photos they take, therapeutic photography can help raise self esteem. I have combined their words and photographs with a portrait that I made of each of them. It has been an incredible experience working with these strong, articulate young women, watching them work to put their past behind them and face a new way of life. 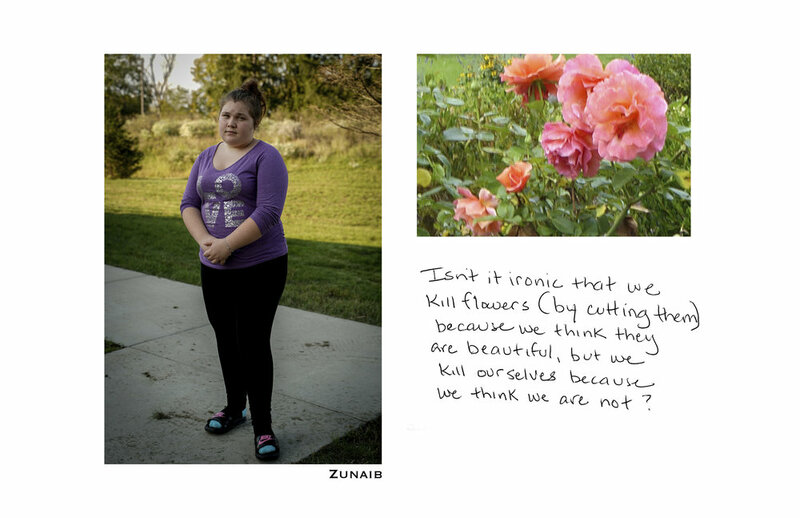 Andrea Birnbaum is a photographer and educator currently living in the Detroit Metro area, and has been an adjunct faculty member at the College for Creative Studies and the Art Institute of Michigan. She has an MFA from Maine Media College, and has turned her empathetic lens on special needs children, girls and women for the past twenty years.